Wearing a flower lei made by his mother, Hawaiian cowboy Bernard Ho'opai maneuvers his horse to open a gate while separating calves from their mothers at Ponoholo Ranch's branding in North Kohala, Hawaii. Despite the introduction of ATVs to herd cattle on many of the ranches, the cowboys use horses for the skilled, nuanced work required in the confines of a coral during brandings and weanings. 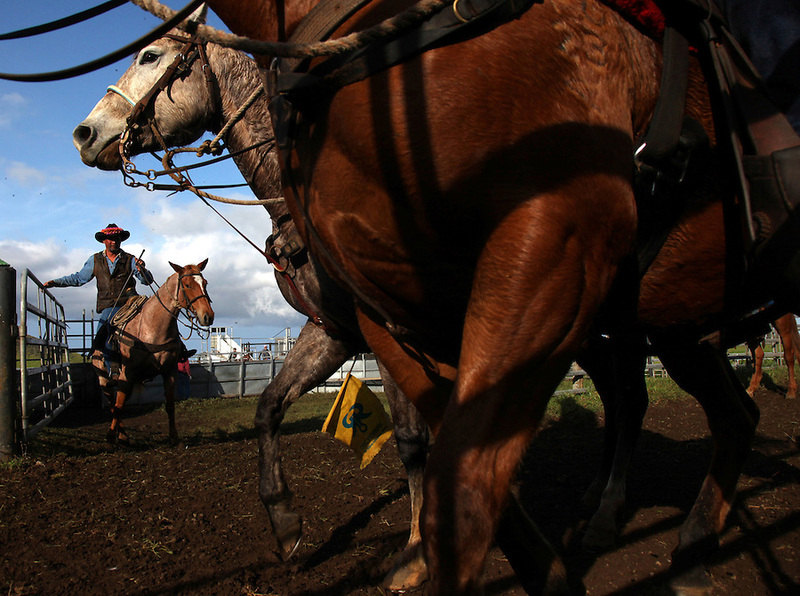 Ho'opai comes from a family with four generations of Hawaiian cowboys.